Brand New Four Bedroom Home in Fernadina Beach! 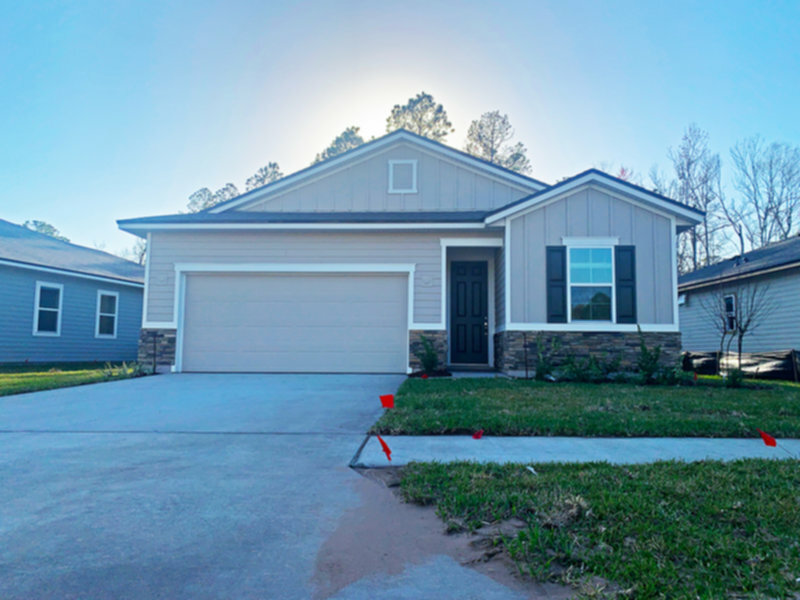 This brand new, never lived in, four bedroom, two bath home on a quiet culdesac street in The Villages at Woodbridge with be ready for move in on March 1st. Home features include luxury vinyl plank flooring in the living and wet areas with wall to wall carpet in the bedrooms. The luxury style kitchen features a large center island, granite counters, stainless appliances and opens up to the large a spacious living area that walks out to the large covered patio through a double slider, making this home perfect for entertaining family and guests. The generously sized master suite includes a master bath with double sinks, step-in shower and walk-in closet. The three guest bedrooms have no shortage of space either. Home also features a dedicated laundry room with electric washer and dryer, yard watering system, two vehicle garage and lawn care included!